An innovative, nonprofit organization committed to igniting the passion for storytelling in children. Rescue Writing provides text space for writing a story on each page so a storybook can be created by a classroom of students (with each student having their own page to tell a story) or one person can write an entire book. Similar to a photobook, but instead of creating printed photo albums, we have more room on each page to tell your story. Is there any cost to my school to support Rescue Writing? No, a Sponsor’s generous donation will cover all the costs of a Rescue Writing storybook. However, if a school does not want a corporate sponsor, they can purchase the program directly. Yes. Rescue Writing offers ready made templates – for practice or when creating the actual book. Because some teachers want to make the story writing exercise available to home, teachers can download or email sample pages to each student or parent for them to work with at home. Each of these templates is identical to the pre-made pages available in the book. Pre-made templates are easy to use, use cut and paste the text and drag and drop the images and you’re done! Can we create our own pages in the book? Absolutely! Rescue Writing offers ready-made templates, partial made templates and empty pages so anyone can create a custom storybook exactly as they’d like to have it. What does a Rescue Writing storybook include? Rescue Writing is an entire storywriting process. To get started, parents and teachers are encouraged to find some of the Learning Videos that are suitable for the class (or child). Once you’ve gotten some ideas, then obtain images (taken with a cell phone or camera) and write your story. Begin first with the sample template pages. When you have the stories ready to publish, go to Make my Book and upload your text and images for each page. Rescue Writing has unique custom designs – and the most pet art available anywhere. Students are encouraged to be as creative as possible and can even draw their own images and upload them if desired. Are Rescue Writing storybooks digital or hard copy? The final storybook is a hard copy that will last forever. In addition to the goal of creating fun storybooks, Rescue Writing is also creating memories that will last a lifetime. Is Rescue Writing right for my students – and for all children? Rescue Writing is a positive teaching tool for all children and aids in the growth of their individual literary voice. Writing and storytelling are an integral part of all societies and is one thing that bonds communities and cultures. Anyone who learns how to communicate through the written word has a tool that will serve them for a lifetime. What age is appropriate for Rescue Writing? Rescue Writing is ideal for everyone. It is currently suggested for ages 8 – 13, but anyone of any age who has a story to tell can do so through Rescue Writing. Can you purchase a Rescue Writing storybook to use outside of classrooms and schools? Yes, absolutely! Anyone can create their own unique storybook and purchase it to use at their leisure or for additional at home reading and writing. Rescue Writing is also an excellent convenience in home schooling environments. Do Rescue Writing storybooks have any themes other than pets? Rescue Writing is currently working on themes for future storybooks. Our first offering is pets, but we have many ideas in the pipeline, and are open to suggestions from everyone. Do Rescue Writing storybook templates contain pre-written scripts? No, students fill in the templates with their own unique stories and experiences. Text size can be adjusted to fill the space provided for text. Can I make my storybook through the Rescue Writing website? Yes, it is simple, click on the Make my Book link and follow the guided directions. How long does it take for a Rescue Writing storybook to arrive? Each storybook will arrive within two weeks, unless faster shipping is bought. Is there a way for me to remove the company logos in my book? If a Sponsor provides your class with a storybook their logo will automatically appear on the back of that book. If you chose to purchase a storybook without a Sponsor, there will not be a company logo on the storybook. Can a child add his or her own elements onto their page? Yes, children can easily upload their own personal images through the storybook website to personalize their story. Multiple, easy-to-use templates are provided to expedite the book assembly process, but if someone wants to design their own pages, they can easy do so. Students can customize their page by using four elements: backgrounds, scrapbook images, picture boxes and text boxes. A student can create an illustration on hard paper or the computer that can be converted into a JPEG and put into a picture box on their page. If your pet or favorite animal could talk and come to school describe what would happen that day. Imagine you are throwing your pet or favorite animal a birthday party; write a story about where it would be & how you would celebrate. Write a story about your pet or favorite animal planning a vacation. Where would they go and what would they do there? Imagine your pet could talk and come to school with you one day. What would they do and say throughout the day? What would their favorite class be and why? 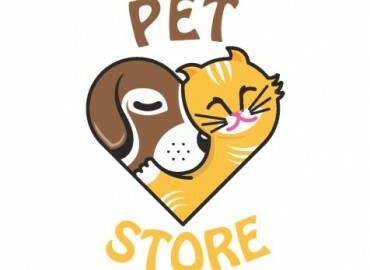 Think about the appearance of your pet or favorite animal. Is it furry, scaly, slimy, etc.? What would it be like if you had their fur, scales, etc.? Write a story about how different things would be if you had the same appearance as this animal. Write about if you had whiskers like your cat, dog or favorite animal. What would you be able to do with your new whiskers? Create an animal superhero. What would their superpower be? What would their name be? Would they wear a cape or mask? 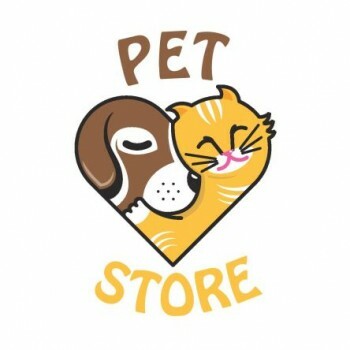 Write a story about your favorite place to be with your pet or favorite animal. Where is this place & what do you do there together? 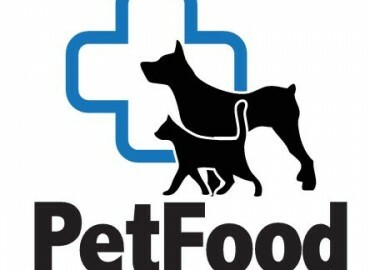 If your pet or favorite animal were a chef what food would they serve? What restaurant would they work at? Write a story about coming to dine at their restaurant. If your pet or favorite animal were running for President what would they say in their speech? Does your pet know they are an American? How do they feel about it? What animal would you pick to be the symbol of America and why? Write a story about what would happen if your pet or favorite animal took you grocery shopping. What would your pet or favorite animal do with a million dollars? Write a conversation you would have with your pet or favorite animal if they were going to write a book. What would happen if your pet or favorite animal were your teacher? How would it be different from how your teacher teaches? Write a story about your pet or favorite animal teaching your class. Imagine you had to ride your pet or favorite animal to school instead of a car or bus. Write a story about what would happen on this adventure. Can your pet or favorite animal camouflage itself? Why do some animals camouflage with their surroundings & others cannot? Write a story about an animal that can camouflage with their surroundings. Think about a story you read in a book about your favorite animal or an animal you like. Rewrite the story and change what you did or did not like. Think about an animal you have learned about in science class. Imagine being that animal and coming to school as it, what would happen? Why do some animals have tails? What would happen if you had a tail? What would it look and feel like? Write a story about coming to school with a brand new tail like your pet or favorite animal. Why do some animals have claws? What would you be able to do if you had claws and what wouldn’t you be able to do with claws? Write a story about coming to school with claws like your pet or favorite animal. Think about the habitat/environment of your pet or favorite animal. Write a story about what it would be like if you lived in their environment. If your pet or favorite animal could talk and visit your classroom what do you think they would say and do with the class? Describe your pet or favorite animal’s goals and dreams. How will they achieve them? What steps will they take? Describe what your pet or favorite animal would do for a career. If your pet or favorite animal could be a musician what would the name of their band be? Describe what kind of music they would play and who their audience is. Write a story about going to their concert and what kind of snacks would they sell at the concession stands? Write about your pet or favorite animal as if they were a famous artist. Would they be a painter, fashion designer, singer, musician, movie star, etc.? Write a story about how they perform and how they practice their skills. Write a story about your pet or favorite animal creating an invention. What would it do & why would they make this? 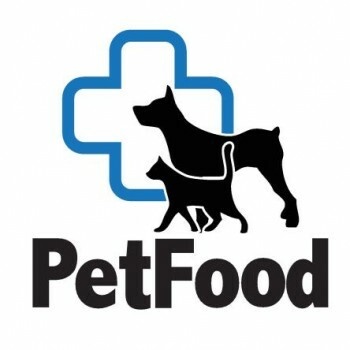 What do you think would happen if you fed your pet or favorite animal all the foods you eat? Do you think they would like your food? How do you think it would affect them? Write a story about your pet or favorite animal eating food like a human. If you could be an animal what would you be? Research this animal and write what you discover about it. Would you still want to be this animal after you learned about it? Write a story about you becoming this animal. Describe your pet or favorite animal as if they were famous. Why are they famous and what would they do with their fame? How can I sponsor a classroom? The best way to help children develop their writing skills and storytelling is to sponsor a classroom by donating $ 99 to Rescue Writing.For teachers, simply request a sponsor and Rescue Writing will match your classroom with a sponsor so story writing can begin immediately. What does the Rescue Writing Sponsorship cover? Each sponsored classroom receive ONE classroom copy of the storybook created. Parents and friends are invited to purchase additional copies of the book that featured their child’s story – and a portion of the sale of each book will be reinvested back into that classroom for the next class to enjoy. How can I become a Rescue Writing Sponsor? Through our website you can apply to become a sponsor and help ignite the passion for storytelling in children. Anyone can sponsor as many classrooms as they desire, and specify the zip code or school for each sponsorship. Each classroom sponsorshipis only $99. If you want to sponsor a contest, story pages or have another great idea, contact: Sherry@rescuewriting.org. Does Rescue Writing offer story contests? YES! Rescue Writing has teamed up with sponsors to bring encourage children to write stories about their pets – and offers really great prizes for the winners. To see the current contests, go to contests. Is there a fee to enter a contest? No, contests are free to enter and winners are rewarded for their winning entries as outlined in each contest. Can a parent sponsor a classroom? Yes! Anybody can sponsor a classroom through this website.